You have to be risky enough to define yourself loudly. VIU was a forward-thinking organization that owned its own uniqueness – or as Mr. Godin says – its “weirdness”, and identified their weird people. Instead of focusing on the general demographic of high school students, they targeted individuals that aligned with their own unique brand; the students who loved being outdoors, appreciated photography and beautiful landscapes, and were visual artists in their own right. VIU took a leap with us and focused on a tribe, and became the voice for that tribe on Instagram. Focus on a platform(s) that works the best for your tribe. This platform is what your tribe will already be using, and what you as a brand, would naturally use as well. Sometimes it’s just one platform, other times it’s many. In VIU’s case, the main platform was Instagram, as it was the best fit demographically, and also for the highly visual content that VIU would be aligning with. You must continue to reinforce your brand as the leading voice of your tribe. For VIU, we developed the hashtag – #ilearnhere – that featured imagery of the beautiful campus area and invited like-minded students who enjoyed the locations in which they learn to contribute their own artistry. In just 6 months, the #ilearnhere hashtag has over 2400 photos from individuals all over the world – an average of 400 contributions per month! To this day, the VIU Instagram account features select photos from the #ilearnhere hashtag onto their own account, and continues to lead the direction of the hashtag. They’ve continued to foster the tribe by connecting and interacting with their like-minded supporters. You can’t truly connect with your tribe of like-minded individuals until they first trust you. You have to prove that you possess the same values and that you’re one of them, rather than just another brand trying to invade their space. In VIU’s case, it was especially touchy since their Instagram account was brand new, and Instagram wasn’t invaded with advertisements like other social platforms were. With no budget for media placement to reinforce the purpose of VIU’s #ilearnhere hashtag, Instagram partnerships were key in breaking VIU into the platform. We developed partnerships with high-quality, reputable Instagrammers that already shared content similar to what VIU’s #ilearnhere hashtag would be all about. By introducing the VIU Instagram account through these reputable partners, the Instagram community welcomed them with open arms and they accrued over 700 followers in just 6 weeks. With technology the way it is nowadays, it’s much easier to corral your tribe and communicate with them. One thing you have to be sure of as a brand is to make joining your tribe an easy task. Joining your tribe should feel rewarding for the individual, rather than like work. For VIU’s campaign, we made it accessible to anyone with an Instagram account. They merely had to share a photo (that many would already normally take) that answered the question “Where do you learn?” That process of joining the campaign was fulfilling and not averse from their usual activity. It’s much different than asking them to sign up for a newsletter. VIU went the route of accessibility, but don’t get us wrong, going exclusive doesn’t hurt either. Just make sure it’s easy and rewarding to first join your tribe – there’s nothing like a positive first impression. When you’re building a tribe, you’re not really creating anything new beyond structure. You’re corralling like-minded people – people that exist everywhere and belong in various tribes – and you’re leading them. 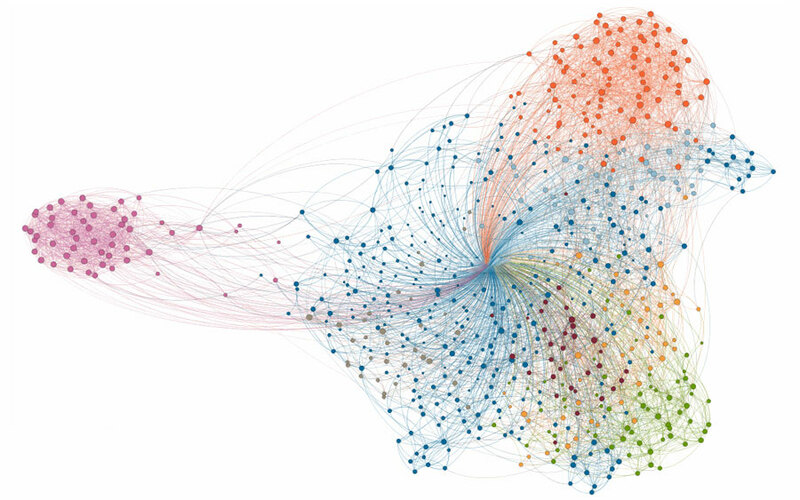 Your job as a brand is to organize them, understand them, connect with them, and be their unified voice. They’ll give you strength in numbers and you’ll give them strength through direction. All it takes is for you to define your brand and find your supporters; they’re all out there, just waiting for someone to lead them. This campaign won Vancouver Island University the international 2014 IABC Gold Quill award under the Social Media category, as well as a National 2014 CPRS Award of Excellence! They were the only University to win an award at the CPRS. Please check out Our Award Winning case study! Let us assess the health of your current brand community. Following our tried and tested methodology, we’ll help you to see opportunities to strengthen your community and give you the strategy you need in order to activate them toward conversion. With My Loud Speaker’s Tribe Lab, we study the social psychology of communities and share our research in hopes of replacing noisy, interruptive advertising with passionate brand communities around the world. Create a bigger impact with a stronger, louder, healthier community rallied behind you. You’ve got the vision, you’ve got the spirit, it’s time to give your community the momentum to make the impact you want. To get a free rating and recommendations for your community, get in touch! 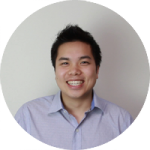 Matthew Tsang serves as an Account Director and Principal at My Loud Speaker Marketing. As an ambassador of meaningful marketing, Matthew has worked on campaigns that have emphasized the importance of giving back in unconventional ways. A natural researcher with an entrepreneurial and creative flair, Matthew has discovered happiness in a career that is challenging both imaginatively and intellectually.